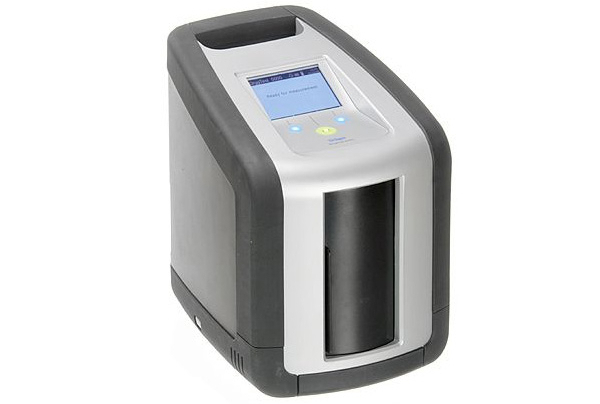 Draeger Safety Canada has announced that its DrugTest 5000 screening system has been approved by the Attorney General of Canada as the first roadside oral fluid drug screening device for use by Canadian law enforcement. Reliable roadside testing tools are a trusted tool for law enforcement agencies in their efforts to improve road safety. Designed with portability and automation in mind, the Draeger DrugTest 5000 will complement Canada's Drug Recognition Expert program and strengthen Canada's drug-impaired driving regime, by helping law enforcement test for the recent use of cannabis and cocaine, and get fast, accurate results, Draeger says. "Draeger is proud to be selected as a provider of roadside drug screening technology for use by Canadian law enforcement," said Rob Clark, managing director of Draeger Canada. "For decades, we have worked side-by-side with police around the world as a trusted partner, and with our device now available to them, we look forward to helping police make Canadian roads safer." The device is fully automated and rechargeable, featuring built-in temperature control functionality and ensuring optimal performance in a broad range of weather conditions. According to Draeger, the device is already used in cold weather countries like Norway, Poland and Russia, it is fast and easy to use and is based on models that have been shown to be 95 per cent accurate for cannabis in scientific studies. The Draeger DrugTest 5000 is used today by agencies in the United Kingdom, Australia and multiple countries throughout Europe.